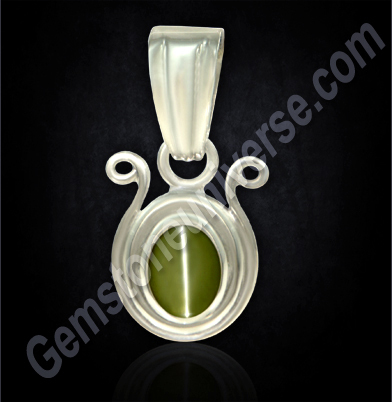 What is Chatoyancy- Cat’s eye effect observed in Chrysoberyl and its importance in Jyotish? The dynamic opening and closing of lines that resembles the opening and closing of the eye of a Cat is called as Chatoyancy. It is for this very reason that Cat’s Eye the Gem of the south node of the Moon/ Ketu is also called as Bidalaksha- Literally translated-The eye of a Cat. What is the cause of Chatoyancy? The Band that open and closes like the eyes of a Cat is called as the Chatoyant Band. The cause of this band is the reflection of light from a multitude of parallel aligned tiny needle like rutile crystal inclusions or tune inclusions. What are the other gem mineral exhibiting the Cat’s Eye Effect? 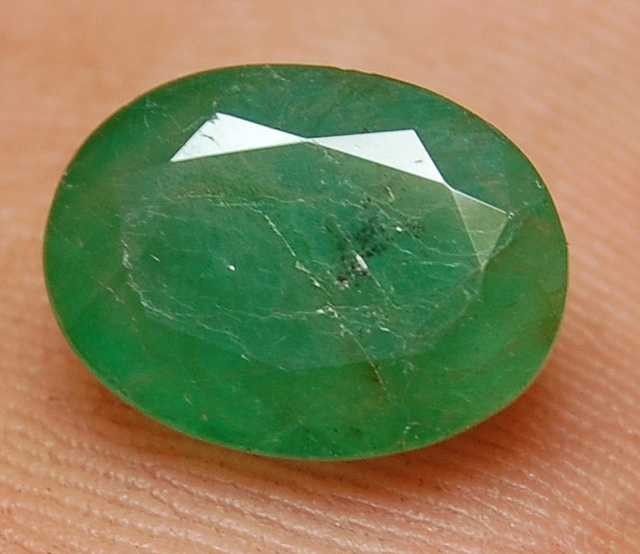 Can other gems exhibiting Cat’s Eye effect used for Jyotish Purposes? The Sacred Texts are very clear that for Jyotish Purposes to harness the power of Ketu one should use Cat’s Eye Chrysoberyl and if due to some reason this is not within the reach of the individual then a Cat’s Eye Quartz may be used as an Uparatna. 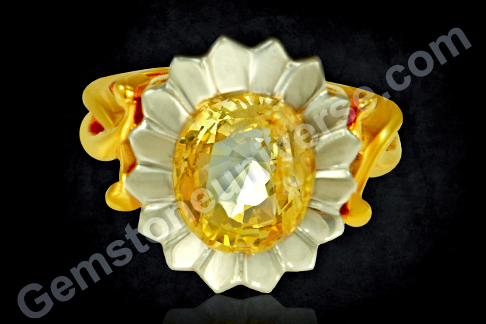 There is no mention of any other gem varieties to be used in lieu of Cat’s eye. Power of a Cat’s Eye Chrysoberyl? A real Jyotish Quality Cat’s Eye is a very powerful gemstone and one can feel its effects instantly. It is perhaps the only Gem that is comparable in its powers to the Blue Sapphire/ Neelam and hence one should assure that the Gem is free from any of the flaws as listed in the sacred texts. Comments Featured today is a powerful Ketu Talisman. Observe the majestic and alluring golden green color. Perfect Eye that is noble, majestic, and mysterious and moves like a phantom over the crystal dome. Perfectly flawless Cat’s Eye Chrysoberyl from Sri Lanka that has been set in the sacred symbol of Ketu. The Gem has been encapsulated by a Round Tube that is sealed with the sacred ash of sacrificial grass/ kusha Bhasma after full Vedic rites. A true Vedic Talisman with Gem, Symbol and Ash representing the mind, body and soul. What are Idiochromatic Gemstones and which is the best semi precious alternative to Emerald in terms of results and efficacy. 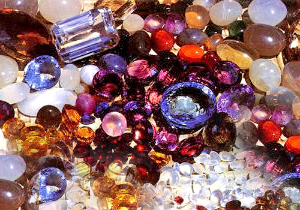 Idiochromatic Gemstones are those gemstones that are” self colored” meaning the color comes from the fundamental chemical composition of the gem itself and not because of any other impurities in the crystal. Peridot is one of the Idiochromatic Gemstones wherein the color causing agent is Iron which gives it the deep green uniform color with just the right tint of golden hue. Some Other Idiochromatic Gemstones are malachite and cinnabar. Even though some individuals cite the use of green tourmaline, onyx, and Tsavorite garnet as an alternative gemstone to the Emerald to be used to harness the powers of Mercury, we have say for sure the best alternative among all the alternatives as Mercury Uparatna is the Peridot. Comments Featured today is a fantastic Peridot crystal from Burma. The novelty of the origin is just one of the features. These Gem Quality Burmese Peridot’s have been very rare since 1960’s. Today these have become a collector’s item.It is 5+ carats, fully natural eye clean gemstone which is free from any treatment and this is what makes it a qualifier for being a Jyotish Gemstone. 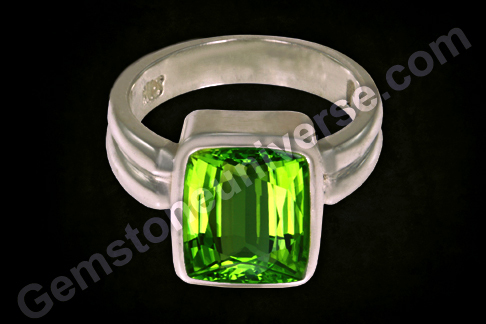 It is Gemstones with features like this are used then the famed astrological effects are gained. It is delightful to view that patrons are getting more aware of Jyotish Gem Powers and Jyotish Qualities and making classy informed choices that work. That, such an informed choice has made this gemstone reach Tel Aviv just adds to the joy of good information spreading to all corners of the globe. 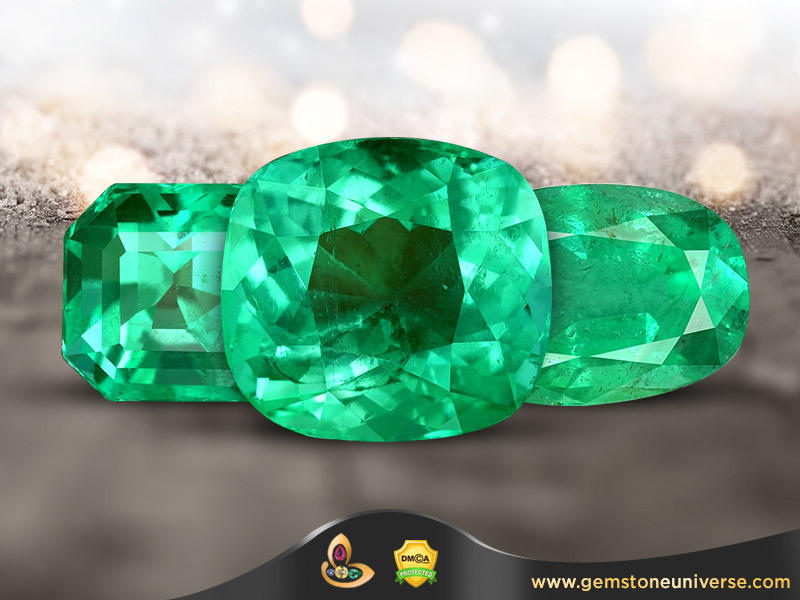 Think emerald and the fascinating green gem of the beryl family appears in front of the eyes. 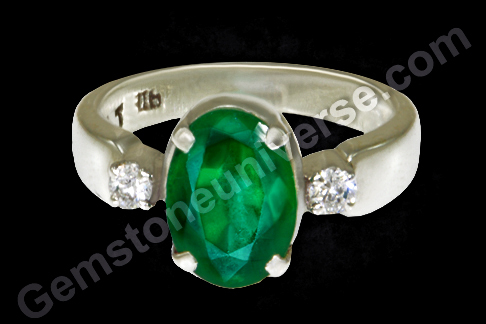 Emerald has been used in jewellery as well as healing therapy since centuries. Though emerald comes from many sources the majority of emerald market is made of Emeralds from Colombia, Brazil and Zambia. In this write up we attempt to make a basic comparison between Zambian Emeralds and Colombian Emeralds. Traditionally, the bench mark for Emerald quality is the Colombian Emerald. The Zambian Emerald mines are relatively new and these were discovered only in 1950’s. Inclusions More in comparison Lesser. Better Transparency is observed. Have a Look at the color shades and other differences in these fine emerald rings from Colombia and Zambia already featured on the Gemstoneuniverse blog. You can gauge the fundamental differences listed above. Hundreds of Emeralds already featured on the blog with Gemological notes can be viewed here. In Chapter 12, of the famous book Emeralds-A Passionate guide author –expert, Ronald Ringsrud explains the phenomena of Gota De Aceite as-There is no better place to rediscover wonder than in a remarkable phenomenon that occurs inside the finest emeralds. That phenomenon is called gota de aceite (Spanish for “drop of oil,” pronounced “go-tuh day ah-say-tay”). A velvety interruption of the light passing through the emerald, the effect is prized by connoisseurs in the same way they value the velvety texture of a Kashmir sapphire. In both cases, the color of the stone is softened and the internal reflections are spread by numerous microscopic inclusions, reducing extinction and giving a liquid, velvety texture. Gota de aceite is associated with the Colombian emerald, and even in Colombian stones it is visible in only one in a thousand, mainly of fine quality. For Astrological Purposes which Emerald is better- Zambian or Emerald? One can use any Emerald for Jyotish Purposes provided the emerald is Jyotish Quality and the clarity level is acceptable for Jyotish purposes. Till these two criteria are fulfilled the Emerald is empowered to deliver results. The origin does not matter. Choose an Emerald with a color and shade that appeals to you the most. Comments Featured today is a fine Zambian Emerald crystal of 2.26 carats, notice the deep rich green color. The Gem has been set in silver and passes the Jyotish Emerald Clarity Standard. The use of American diamonds as accent stones give the ring a distinct character. Emerald or panna is the Jyotish Gem for harnessing the positive powers of Mercury the planet of business, finance and communication as per Vedic Astrology. What is delightful to observe is that awareness of correct Jyotish Gems and Planetary Gem therapy is reaching to far off places. This Emerald ring shipped to Amritsar just proves that. 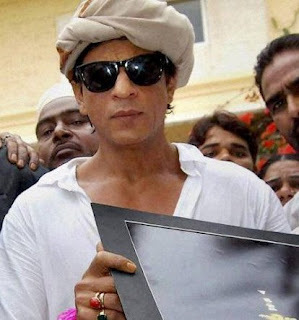 Shahrukh Khan-The Badshah of Bollywood has enthralled audiences for around 2 decades. Today being his birthday we wish him the best of Good health and success. Earlier he was wearing an Emerald ring in the little finger of right hand. Recent addition has been the Red Coral ring in Silver which he is seen sporting in the ring finger of his right hand. Emerald blesses the wearer with good communication and business skills and Red Coral blesses one with health and vitality. Whether it’s his IPL team Kolkata Night riders or his movies Shahrukh has been at his professional best in both the fields. 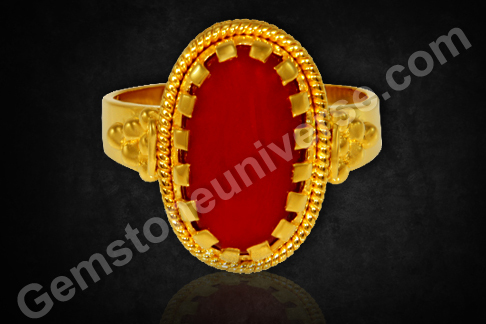 Comments Red Coral is the Gemstone of Mars as per Vedic Astrology. Also known as Moonga this gemstone has extensive benefits listed in the sacred texts both astrologically and also for medicinal purposes. Featured here is a fully organic 6.75 carat pleasing medium ox blood rich organic Red Coral set in 22K gold. This is one of the best examples of a potent Jyotish Red Coral. Gorgeous weight of 6+ carats. Flawless surface with no pits or cracks, fantastic medium ox blood red rich color and top quality mirror finish. All essential attributes coming together to deliver powerful Mars energy for the best benefits of Mars. 10 best one line Ruby Lore’s- The Gem that has inspired Legends. Does a Jyotish Gem choose its wearer-It certainly did in this case? 2) The ancient China, the rank of a Mandarin was indicated by the depth of color in his Ruby ring. Differently ranked mandarins were given different shades of Ruby. 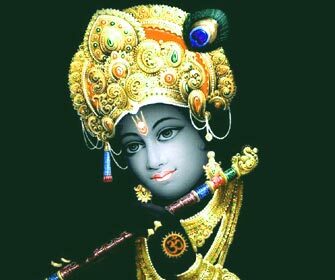 3) In India it is believed that if one donates a fine Ruby to Lord Krishna, one will be born in the next birth as an emperor. 4) The earliest monetary value attached to the Ruby in all probability was by Theophrastus, who lived from 372–287 B.C stated that of Carbuncle/ Ruby is extremely valuable, one of a very small size being prized at forty aurei” (about $180), and THAT was in his time. 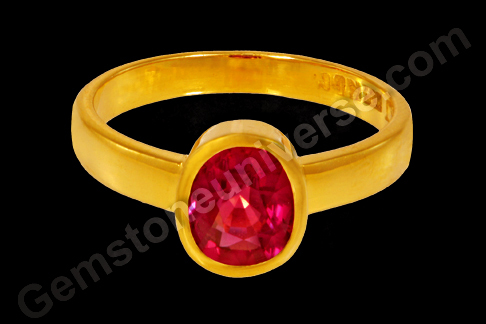 5) In ancient times, ruby stones were kept under a building foundation, to strengthen its structure. 6) Hebrews believed that if a dragon was carved on a ruby, it would bring prosperity and health. 7) The Gemstone most mentioned in the Bible is Ruby. 8 ) The King of Burma was referred to as the Lord of the Rubies as he claimed all Rubies of 6 carats and above as his own. 9) Catherine of Aragon wore an infamous ruby that was told had turned dark the day before Henry VII announced he was divorcing her. 10) Ancient tribes used the Ruby Gemstone as bullets for blowguns, and it was said that a pot of water would boil instantly if a Ruby was tossed into it. Comments Does a Gem choose its wearer-It certainly did in this case?Featured today is 2.07 carats unheated Ruby from the Niassa Mine in Mozambique. Yes a 2+ carats fully natural earth mined ruby that is loupe clean-Yes Loupe clean. Notice the fiery embers within the heart of this beauty and a color that is close to Imperial Pigeon Blood color. Blessed with abundance from the divine such a Ruby is hard to come by in these days of enhancement and specially the way Ruby prices are going. This stunner was procured by us after considerable effort for an existing patron of Gemstoneuniverse who was particular about having a 2+ carat Ruby only despite the high prices. Among the multitude of Gems that we scanned only 3 qualified on the parameters of being Jyotish Qualilty. Here is where it gets interesting, at this juncture when the deal was done the patron had a change of heart and picked up a different Ruby from the Gemstoneuniverse Ruby inventory. This Ruby had that special something, something that you can’t put a finger to- it is one of those gemstones that come once in a lifetime. At this juncture, another Gemstoneuniverse patron called us up and expressed his desire to upgrade his existing Ruby that he had been wearing. A brief chat over the phone and it was done. He did not even look at the Gem such was his experience with the previous one, but off course was delighted when he came to pick up his ring. The earliest monetary value attached to the Ruby in all probability was by Theophrastus, who lived from 372–287 B.C stated that of Carbuncle/ Ruby is extremely valuable, one of a very small size being prized at forty aurei” (about $180), and THAT was in his time. We have an interesting piece of information to share- among all yield of Ruby from Mozambique only 5% is Gem Quality and among this small percentage value less than .5% would be Jyotish Quality. 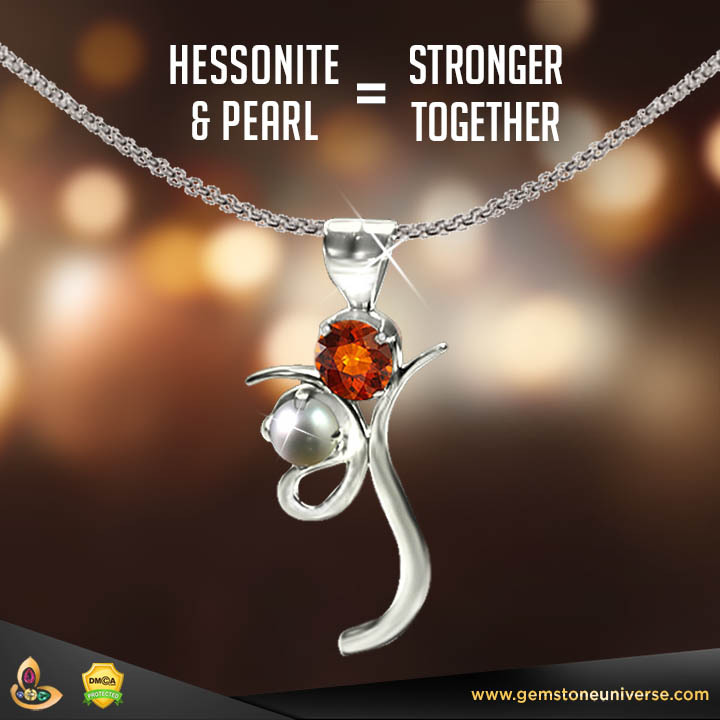 In spite of this rarity a true Jyotish Gem finds its way into the hands of its rightful owner. Luckily, At Gemstoneuniverse the Ruby has blessed us with palm full of abundance and we shall keep providing these magical beauties to our dear patrons. Elahera- A Gemmy Safari, an astute Gem Investment and a phenomenal return of investment. Comments Elahera is an abundant Gem field located in central Sri Lanka about 115 kms NE from the capital city of Colombo. 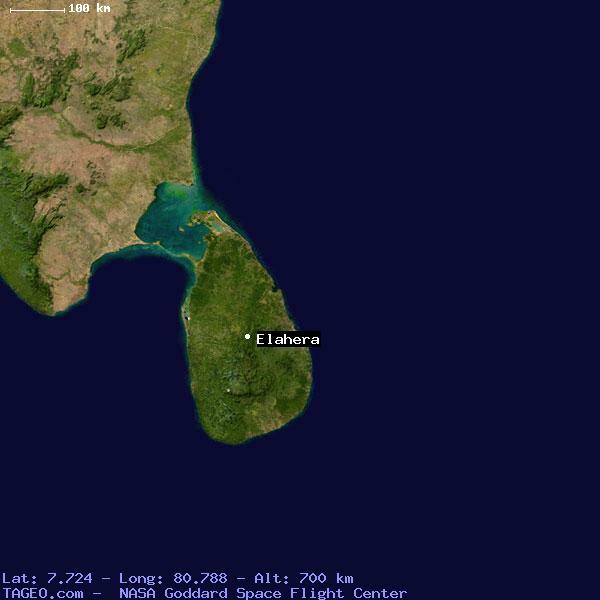 According to current estimates Elahera produces roughly around 35% of all gems exported from Sri Lanka. The Elahera Gem mining fields come in Matale District near the Wasgomuwa strict natural reserve, in the North Central Province of Sri Lanka. 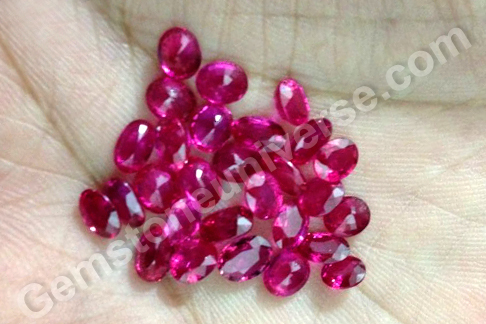 What is notable is that Ruby is not primarily found in Elahera but the supply of Pink Sapphires is plentiful. Most of the Gems produced from Elahera and sold in Indian market as Rubies would be classified as pink sapphires in the World Markets. Value from Elahera delivered globally. 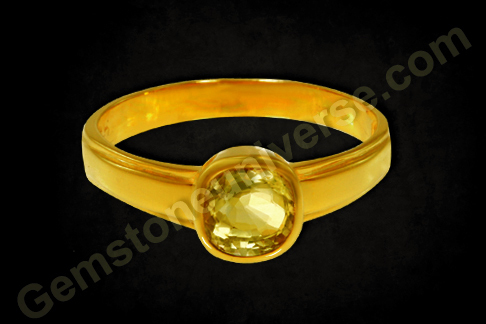 Featured today is a Yellow Sapphire from the Elahera Gem field. Notice the fantastic clarity levels,-eye clean, strong saturation of color giving it the golden yellow hue, a cut so scintillating that allows the maximum play of light, a carat weight of 2+ carats and most importantly free from any enhancing treatment. This Yellow Sapphire is the epitome of Jyotish Quality and represents the best of Jyotish energies of its planetary ruler Jupiter. Today as we write this blog post we ourselves are amazed at the price. 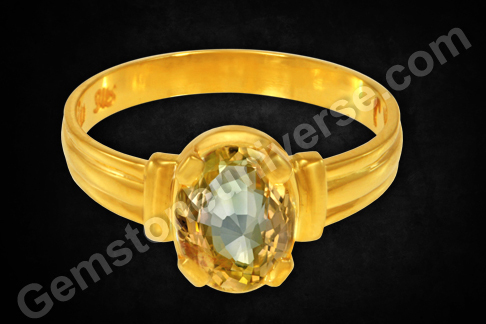 This lovely yellow sapphire was listed on the Gemstoneuniverse website on 23 December 2010 at a price per carat of $510 because we owned the rough, when the dollar to rupee conversion rate was 49.8. Today we are in October 2012 and we cannot purchase this quality at this price and when the dollar to rupee conversion is around 53.8 to 55. 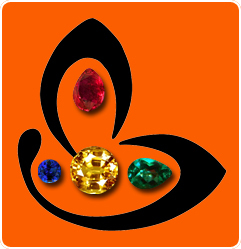 As usual, once a Gem gets listed at Gemstoneuniverse there is no change in its price. Even though you have information similar to this on the blog what is certain that despite any logic a true gemstone will always choose its owner-the one it is destined for and that’s where the magic of gem therapy lies. Comments The essence of Vedic Gem Therapy lies in accurate diagnosis of planetary position and accurate recommendations that bring about specific results, positive results. In majority of the cases we come across we see a poor diagnosis, an average recommendation, poor quality gemstones and hence Gem Therapy Failure.Average recommendations in general based just on the Lagna chart, or recommendations based on Rashi/ Moon Sign or Nakshatra/ Constellation. Such recommendations lead to poor results. Most of the software based recommendations fail because majority of them are based on preset algorithms that recommend the gemstones of 1st house, 5th house and the 9th house of the Ascendant/ Lagna Chart. What is a good recommendation? – Are their specific limiting conditions that are a deterrent in achievement of the objective? 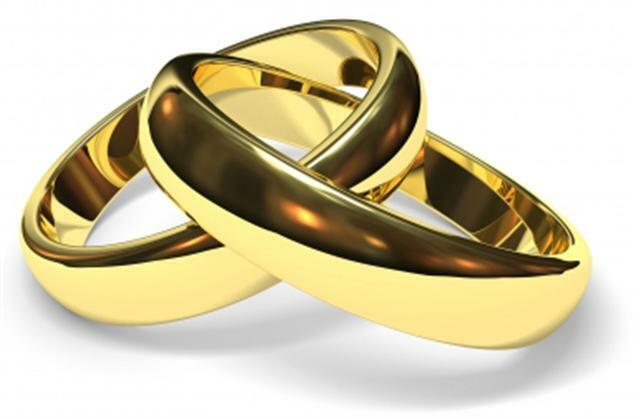 – Is it possible by Gem therapy to address these conditions? – What are the Key planets that can help in achievement of the objective? – It is wise and safe to boost the energies of that planet/ planets by Gem therapy? – Has a thorough investigation been made and verified using several charts. For example if the individual has a professional objective besides the Ascendant, Moon Chart, the Dasha Chart one should also minutely investigate the Dashamsa/D10 chart for an accurate analysis. The above are just some of the key points that the consultant has to keep in mind. Unless specific Key combinations are not addressed wearing any gemstone shall not bring in any appreciable change. For an appreciable change that can be measured one has to unlock the true potential of the horoscope. General Recommendations and poor results. One has to understand that there are no good planets or bad planets. There are planets that give good results and bad results as per their positions in the chart. For example in Aries ascendant in general the planetary gems that are considered are Red Coral ruled by Mars, Yellow Sapphire ruled by Jupiter and Ruby ruled by the Sun. But what happens if Rahu dasha is operational? Rahu Dasha is an 18 year long dasha and the dasha lord gains primary importance as it affects all sectors of life. In such a case the first Gemstone that should be analysed is for Rahu after analysing its planetary position in several charts and keeping in mind the factors discussed above. One just cannot ignore an 18 year life span. If Jupiter is exalted in the chart and Yellow Sapphire is worn Jupiter shall give good results but Jupiter shall give its own results and not have anything to do with Rahu. If you have work in the agriculture ministry why would you go to the finance ministry? Accurate diagnosis and recommendation makes to you to the right ministry that is straight to the heart of the issue without taking a circuitous route which is both time consuming and wasteful. Use of mutually inimical gemstones has its own place of pride in Navratna Vigyan-The Sacred Science of the Nine Precious Gemstones, however the use of these gems should be based on a strong and accurate analysis and your recommendation should come from a reliable authority. The reasons for recommendation should be clearly stated and explained. If these conditions are fulfilled- be ready to enjoy the power of Gem Therapy. This science is so vast and full of wonders one just has to find the right one. That is the reason why this scared science is the gift to the world from Asia, It’s the pride of Asia. The talisman featured today is a special one. This Gemstoneuniverse signature talisman is a special one because the client, consultant and the bench jeweller were equally intensively involved in its creation. 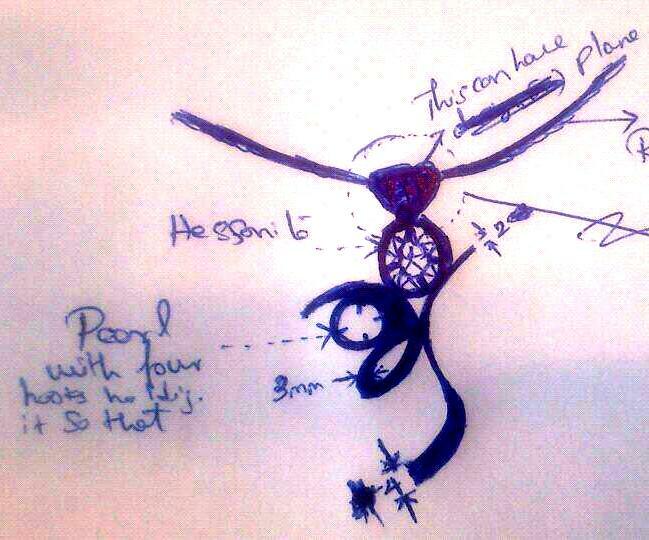 See the sketch of the Talisman presented to the bench jeweller to assess feasibility of design and ensuring that the precious gems are safe and the design is empowered that the gems works for the purpose of Gem therapy. The sketch was made by the consultant and the client together. This leads to harmony of thought and the designs gets a distinct character influenced by the personalities and the thought processes of the key individuals involved in design. Observe the attention to detail. If the client and the consultant get involved to such a degree in creation then we are sure that good results are to follow. Gorgeous and Lustrous eye clean Hessonite that is so sparkling bright. The sheer scintillation adds to the magic of this Saatvik Gomedh making it a pure and true Jyotish Gemstone. Add to that the calming energies of the moon with a fantastic organic natural pearl from Australia and the vision of the client and consultant finally took shape in the finished piece to create once in a lifetime talisman that will be a blessing throughout the life.